How to record screen image for Parallels Technical Support team? What is a technical data report? Technical data report consists of computer configuration information, log files and Parallels account & license information. 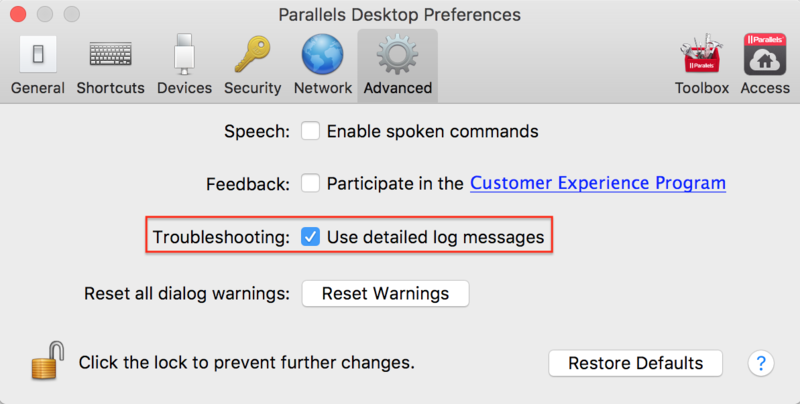 Parallels Engineering and Support teams use this information to diagnose and troubleshoot reported issues. Technical report does not include any sensitive information apart from display screenshot. For more information about technical data report details please refer to KB 114025. 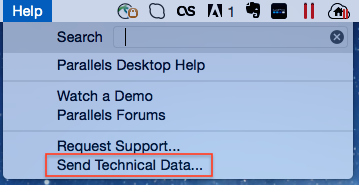 Note: Sending a technical data report to Parallels is not considered a request to Parallels Support and does not create a ticket for a Parallels Support team automatically. If you need to open a support request, please visit this page. 1. 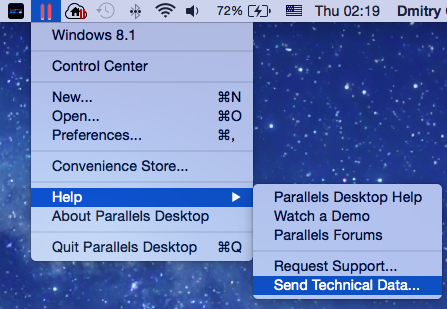 Reproduce the issue you are having with Parallels Desktop. 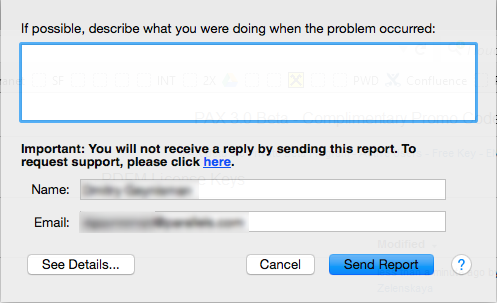 Note: It is very important to generate a report as soon as the issue appears. Please keep the virtual machine window open and in front when submitting the report. 3. Wait for the technical data report to be generated. 4. On the appeared window please write a short problem description (scenario) and enter your contact information (name and email address) - then click Send Report. Note: Save the 9-digit report ID and provide it to the Support Team when submitting a ticket or replying to an existing one. Once the Support Team has your report ID they will be able to identify your report among others in the database. Without the report number, your report can't be processed. 3. Generate technical report as usual, using the instructions above. Go to Finder > Applications > Utilities > Terminal. Save the 9-digit Problem Report ID and send it to the Support team.